If We Don't Use The MLE/Another Exception On A Big, Bring Back Isaiah Thomas! Would you be in favor of bringing Isaiah Thomas back this summer in a 6th/7th man role? Re: If We Don't Use The MLE/Another Exception On A Big, Bring Back Isaiah Thomas! I’d rather have a 50% IT than a 100% Rozier. Rozier has become a liability. He's not even a rotation player for a good team at this point. Brad keeps trotting him out there hoping he'll turn into the guy who played so well in the playoffs last year but it's just not happening. I’d love to have him back. I don’t think he’s toast. I think he’s lost ALL confidence and is still rusty. Like Hayward, he needs reps to get back to being an NBA player. Malone is scared to lose the top seed to GSW so he’s playing the short game. Getting IT anywhere remotely close to where he was can win you a playoff game, or sway a series. We are not going to have both Kyrie and Terry on the roster next season, so I wouldn’t mind taking the flyer with the minimum for him to play backup and save the MLE for a wing (assuming Tatum and Morris are gone). Low risk, high reward. Europe could be Isaiahs best option at this point. Plays less games, he is likeable, he could also earn here more. Injuries change everything. He's better than Rozier...at the MLE why not. Shooting aside, Rozier is the only true ball-hawker this team has, and Brad don't even know how to use him. Smart is not quick enough, and Kyrie, while trying...is still not stopping any of the other team's points. Wannamaker don't even play. s points tear us apart...like Trae young for instance. And when is a Brad team ever gonna stop ball anyway? That actually may be his biggest flaw as a coach besides rebounding. Terry Rozier might be good at playing the passing lanes, but he is a fundamentally bad defender. How about we split our exception money between Thomas and Bradley. Lol. Honestly if we lose Rozier, and Tatum I wouldn’t be opposed to it if they except reduced roles off the bench. Smart and Bradley, and Brown too for that matter can help out for Thomas’s deficiency’s on D. Maybe Brown would play more of the SF position going forward to make it all work. Though you could never play Thomas and Irving together like you can with Rozier and Irving, but you could still get Thomas about 15-18 minutes per game. Maybe I’m living in the past too much, but I think both have some game left in them. I'd love to bring Isaiah back IF there were a reason to believe that physically he'll be able to return to some semblance of his former abilities in a limited capacity off the bench. Sadly, I fear that might not be the case. As much as I love Isaiah, I think it would be painful if the Celtics re-sign him and he's just a shell of a basketball player for 82 games. I think fans would slowly go frustrated with his performance and turn on him. In that case, he (and Celtics fans) are probably better off staying at arms length from each other and keeping his glory days in our memory while occasionally reconnecting 2 - 4 times per season with him get a standing ovation on the visiting bench. If he doesn't get offered an NBA contract, I WOULD, however be very open to the C's offering him a job as a coach. 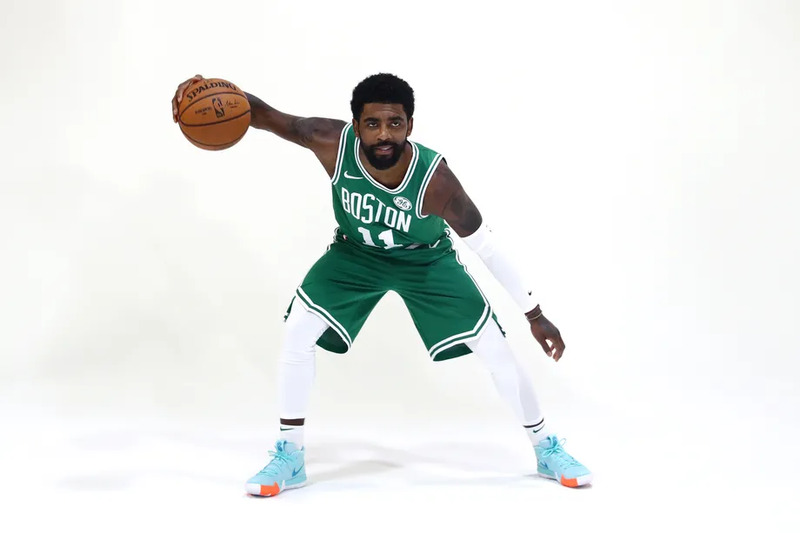 I think his personality could help the team, and he would definitely be a good ambassador for the Celtics organization. My first preference for using MLE would be on a big man. But I'm saying, if we have another exception we could use (or we simply don't use MLE on a big man), then I wouldn't mind bringing IT back on a bench role. Shooting AND PASSING aside you mean. Terry Rozier is playing strictly to get noticed, cut and dry. AND the problem is that he's a "ball-hawker" in every offensive set too. "Brad doesn't know how to use him?" I'll take your word for it, coach.